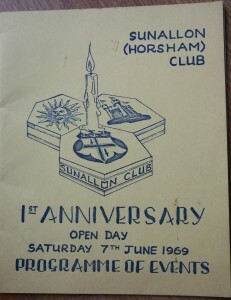 In June 1969, the SUNALLON (HORSHAM) CLUB held its 1st Anniversary Open Day. 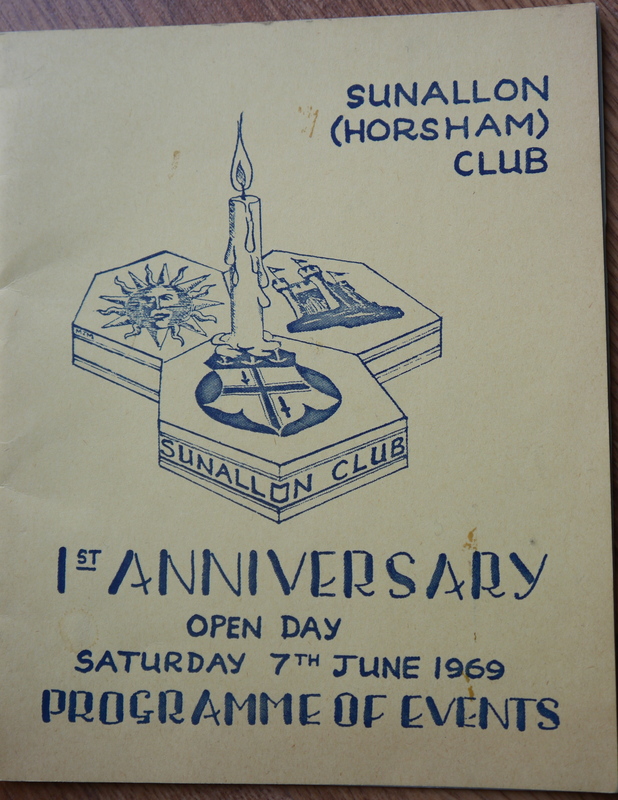 The programme details many highlights, including six-a-side cricket, netball, American Tennis Tournament, Darts, Bar Billiards, Small Bore Rifles and ‘For your further entertainment, there will be an Archery demonstration, Punch & Judy Show, Music Hall in the Pavilion and Pony & Donkey rides’! The bar, we noted, was only open until 9pm!